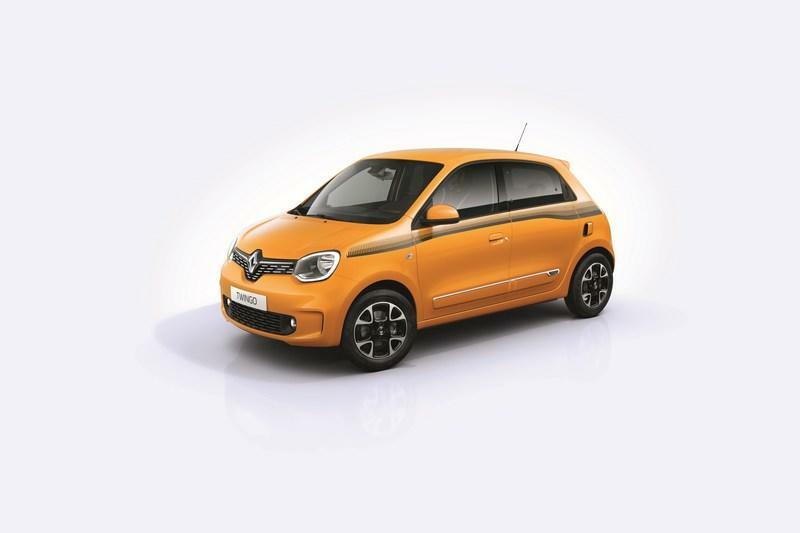 On the market for almost five years now, the third-generation Renault Twingo needed an update. 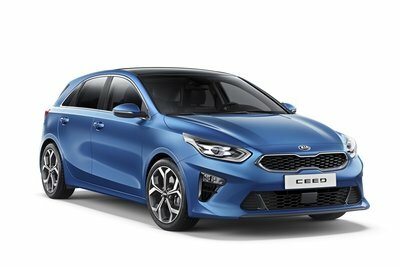 And the French firm delivered at the 2019 Geneva Motor Show, where the mid-cycle facelift broke cover with updated features inside and out, and a new engine and transmission. 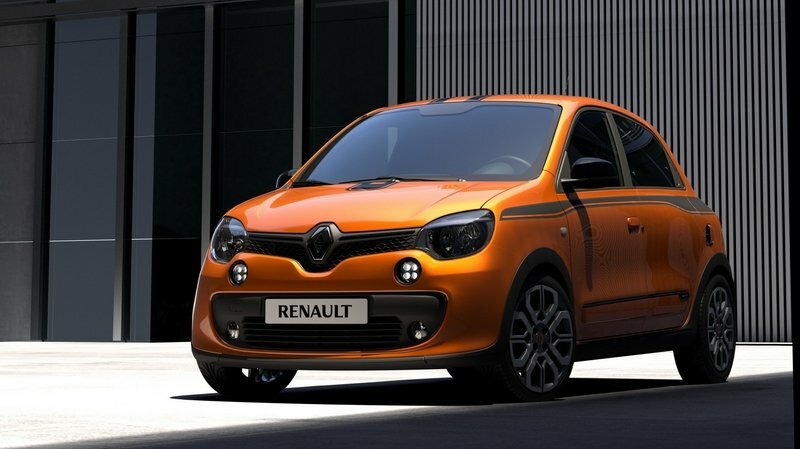 While Renault keeps calling the revised Twingo "new," the small hatchback is clearly just a mild update. 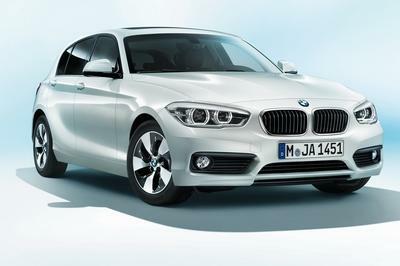 However, the front fascia boasts notable improvements, starting with new grille patterns for the main and lower vents. The latter is also thinner and now flanked by small vertical outlets on each side. The round foglamps in the bumper are gone, replaced by C-shaped LED lights in the main headlamps. 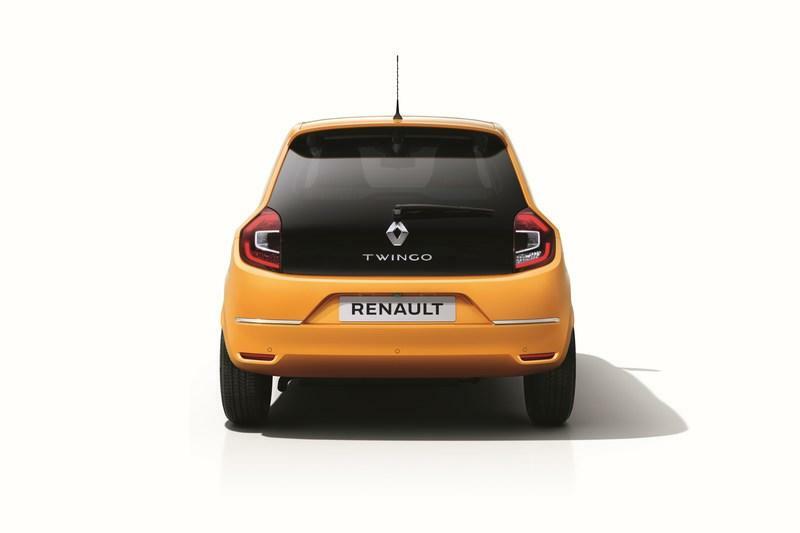 Around back, the Twingo features the same glass tailgate, but the taillights have a slightly different shape and revised cluster that looks more modern. The vents in the rear bumper are also gone, while the license plate recess is now trapezoidal. Overall, the rear bumper looks taller and sportier. The update also adds two new exterior colors to the pallete: Mango Yellow and Quartz White. As before, you can order these with a side stripe package and a wide selection of wheel designs. 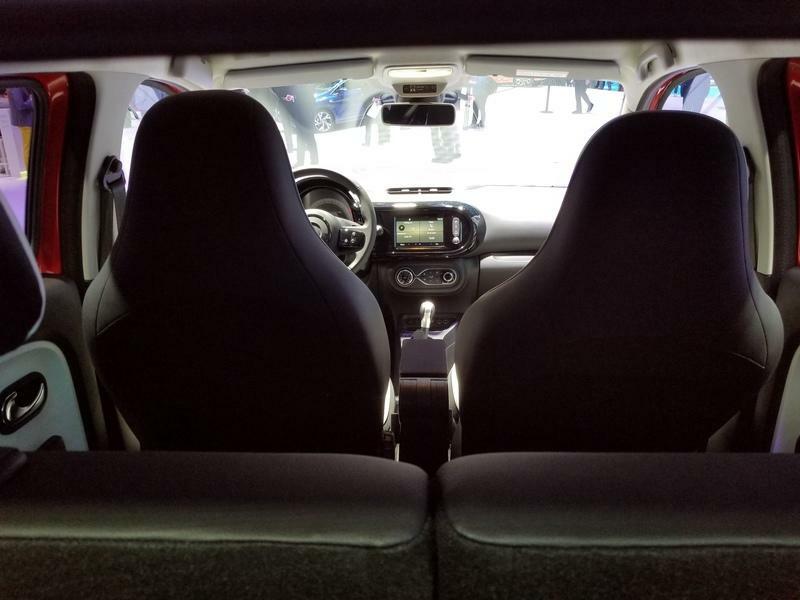 The Twingo’s cabin boasts a notable upgrade, especially in the center stack area. While the dashboard carries over mostly unchanged, the center stack is all new. Renault ditched the wide and vertically oriented unit from the old Twingo, opting for a horizontal design with colored trim. The unit incorporates a media player, but you can also attach your phone for access to many functions. The R&Go and Easy Link multimedia systems now comes with Apple CarPlay and Android Auto integration, which allows you to use Waze or Google Maps for navigation and Spotify or Apple Music for music streaming. The steering wheel is also new, now with revised spokes and a round center section. You can also opt for a flat-bottom unit. 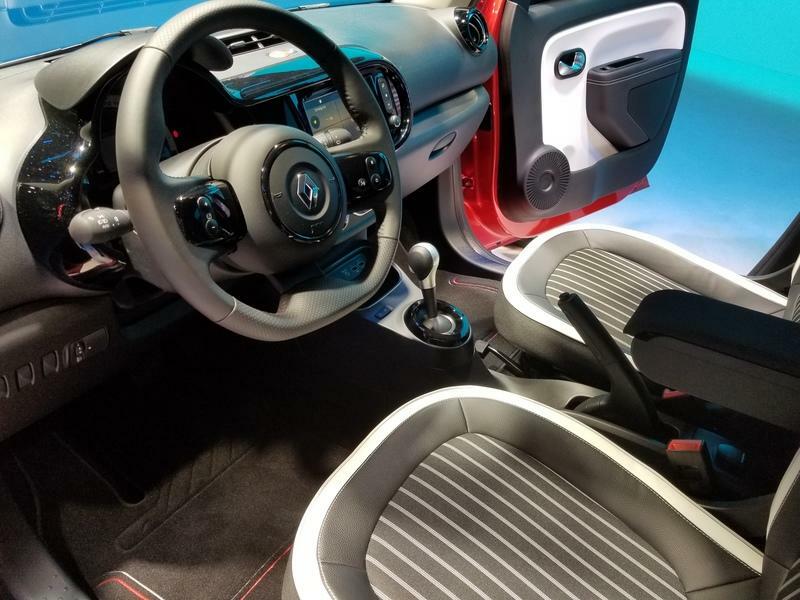 The really cool feature about the Twingo is that you can combine various colors with the black and white upholstery. 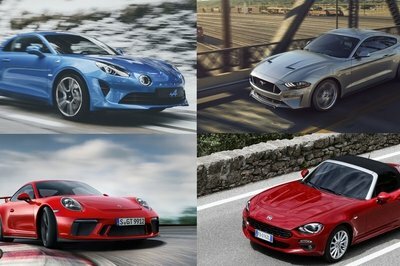 Options match the exterior colors and include red, orange, green, and blue. The fully folding passenger seat increases the Twingo's loading length to 2.3 meters (90.5 inches), which is more than you get in bigger hatchbacks. With the rear seats folded flat, total luggage capacity is at 980 liters (34.6 cubic feet), which isn’t bad gives the size of the car. The bigger Clio, for instance, can swallow up to 1,145 liters (40.4 cubic feet), an extra 165 liters (5.8 cubic feet). 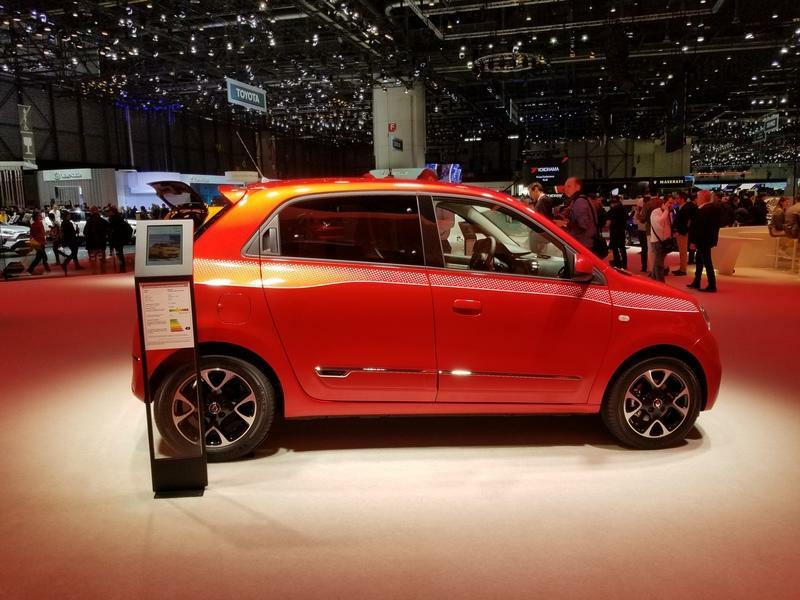 The base Twingo continues with a selection of three-cylinder engines, starting with the 1.0-liter SCe65 version rated at 65 horsepower and 95 Nm (70 pound-feet) of torque. Next up is the new SCe75, which delivers similar torque but cranks out 75 horses. 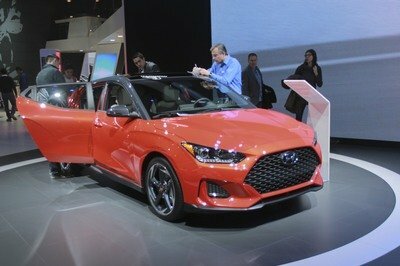 More oomph comes from the TCe95, a 0.9-liter turbocharged engine, rated at 93 horsepower and 135 Nm (100 pound-feet) of twist. 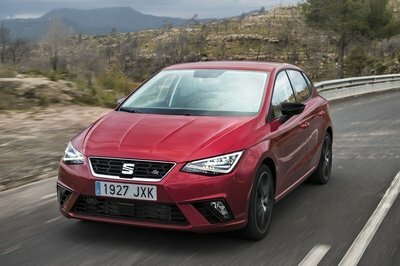 All three engines are offered with a five-speed manual, but the turbo three-banger can also be had with a six-speed dual-clutch automatic, a first in this segment. 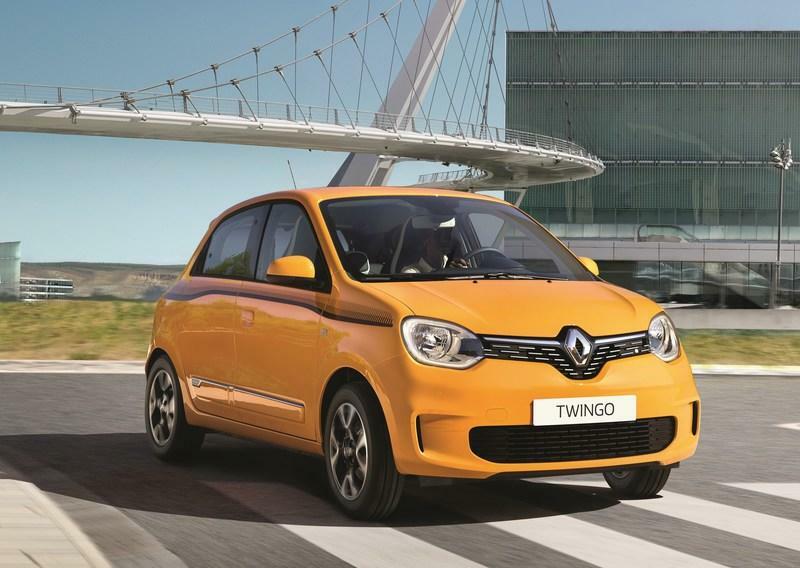 Performance data is not yet available, but don’t expect the Twingo to deliver sports car-like performance. Read our full review on the 2017 Renault Twingo GT.